Funny Like a Monkey is one of the many phrases coined by my then 16 year-old daughter in order to address the actions and well-intended attempts at humor by both her younger brother and her hopelessly antiquated father. What I love about these phrases – of which Funny Like a Monkey is but one of many – is their use of nonsequitur elevated to high verbal art. They are at once biting and humorous, and are filled with the sort of over-the-top verbal bravado that only a teenager, as the self-acknowledged epitome of hip, can get away with. 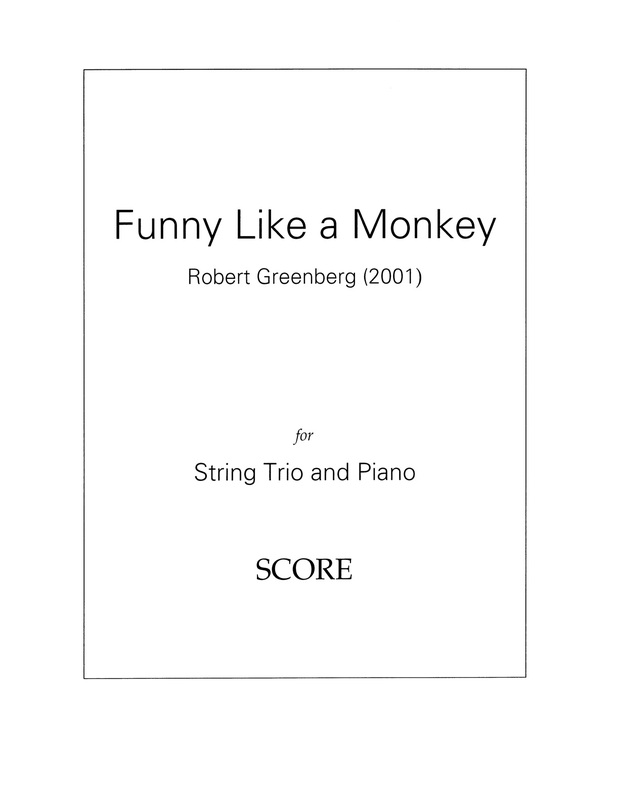 Though Funny Like a Monkey is scored as a traditional piano quartet, it is in reality composed for string trio PLUS piano. 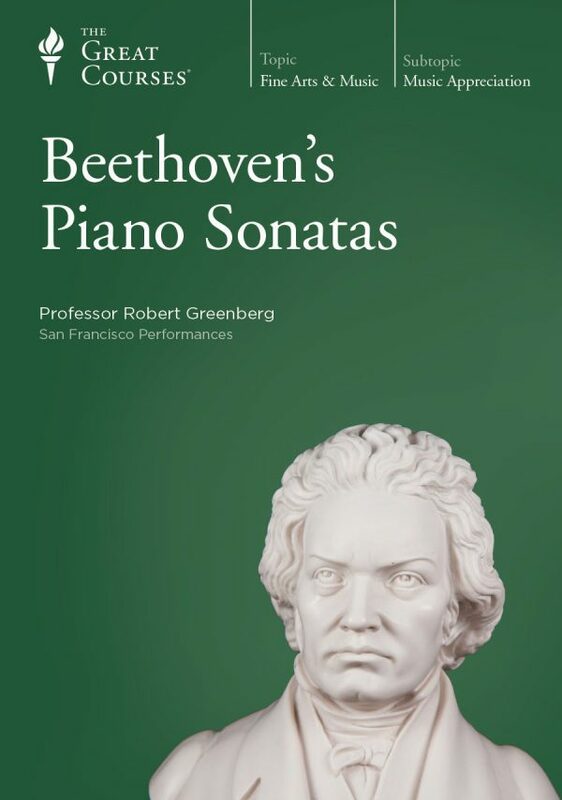 Along with being part of the larger ensemble, the piano has a featured role in the piece: it is narrator, commentator, curmudgeon, critic, and emcee, as it introduces and comments upon the relative merits of the musical materials that comprise the work. 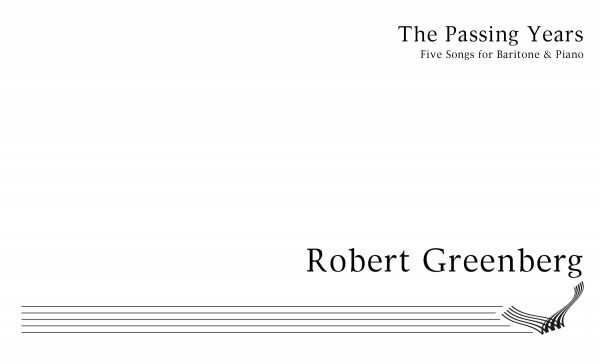 The first movement is entitled “Knock Yourself Out”. The movement’s energy and exuberance, as well as its mercurial-shift-on-a-dime nature is a rather personal reference to the dedicatee. 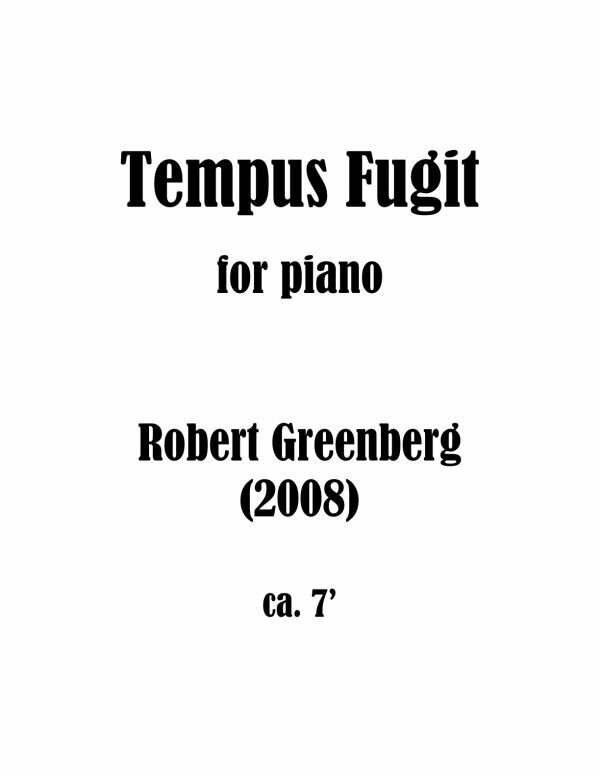 The second movement is entitled “Flutterby”. A spoonerism created (or at least favored) by my daughter, the reference is to a sort of macro- butterfly, a “mega-mariposa”, if you will, one of extraordinary beauty and delicacy that floats and drifts and shimmers in some imagined place. The third movement, “Morph, With Apologies to J.B.” refers to the rather obvious fact that the music keeps morphing in and out of the finale of Johannes Brahms’ (J.B.’s) Piano Quartet in G Minor, Op. 25. I’m crazy about Brahms’ piano quartets, and I have surrendered to the urge to mess with his pitch collections and thematic motives. The movement, with its musical puns, metamorphoses, and attempts at humor, is a perfect example of what might be referred to as “funny like a monkey”. 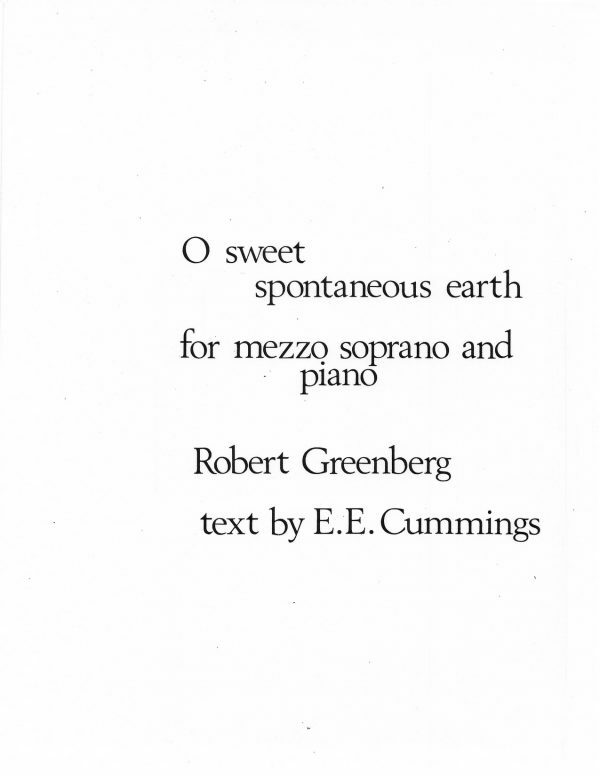 Funny… is dedicated, with love, to Rachel Amy Greenberg on the occasion of her 16th birthday.